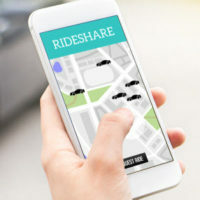 When customers use the Uber ridesharing app, they will be required to agree to the company’s ‘terms of service’. If an Uber rider causes damage to the inside of a vehicle during their trip, a cleaning fee can be billed to their credit card. When a passenger vomits in an Uber in South Florida, the company states that they will typically be billed $150 to cover the cost of a professional cleaning. What happens if a rider does not vomit and is charged anyway? CBS 4 Miami is reporting that several South Florida Uber customers are finding out. Multiple Uber drivers in our region have been accused of taking advantage of this system by committing so called ‘vomit fraud’. Here, our top-rated Miami consumer fraud attorneys provide an overview of this case and explain the first three steps you should take if you have been the victim of fraud in Florida. CBS 4 Miami reports that a man was charged a $150 vomit clean-up fee twice on the same night by two different Uber drivers. This rider indicates that the never vomited in either of the vehicles and that the fees were falsely applied to his account. When contacting Uber directly to complain about the fraudulent charges, he states that he had a very difficult time getting cooperation from the company. As a consumer rights advocate told the reporters, many people do not check their credit card statement regularly. Drivers may make a false claim against them, and it may never be noticed. If you were the victim of credit card fraud, you should gather as much documentation as possible. Of course, in many cases consumers will not have much physical evidence related to the fraud. One thing you can do to combat this is writing down comprehensive notes. When you discover fraud has been committed on your account, write down all of the information you have regarding your case. Should you end up in a legal dispute, this information will be very useful. You should report your false claim to the credit card company immediately. The sooner you report a false credit card claim, the more likely you are to get effective assistance from your credit card provider. In most cases, credit card companies require consumers to report fraud within either 60 days or 90 days. The failure to do so could make you ineligible to recover compensation directly from the credit card company. You should also review your credit card account statements and your credit reports on a regular basis. This is especially important if you have been the victim of identity theft, if someone has stolen your credit card, or if someone has opened a new credit account in your name. You need to be sure that you are aware of the full scope of the fraud. At Pike & Lustig, LLP, we are committed to providing top-quality legal services to consumer fraud victims in South Florida. If you or your family member was a victim of consumer fraud, we can help. You can reach our West Palm Beach office at 561-291-8298 and or Miami office at (305) 985-5281.